Nasolabial folds and marionette lines no longer have to be a source of cosmetic frustration — now, there’s Restylane® Refyne. This cutting-edge injectable dermal filler can improve the appearance of laugh lines for up to 12 months after a single injection session. 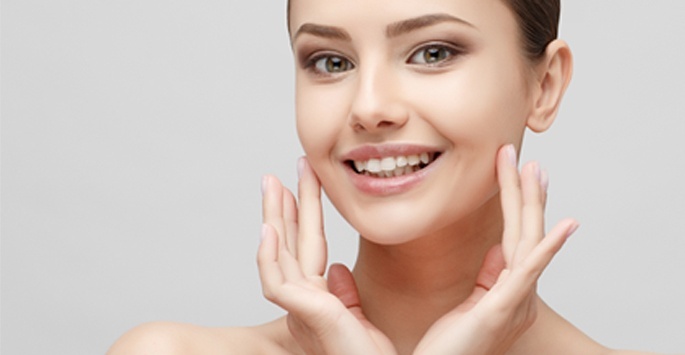 At Supriya Aesthetic Dermatology, we take pride in providing our patients with state-of-the-art treatment techniques that help them address their cosmetic concerns. If you’d like more information about Restylane® Refyne or are interested in scheduling a consultation appointment, contact our West Palm Beach or Jupiter offices today. We look forward to hearing from you! FDA-approved in December 2016, Restylane® Refyne is a cutting-edge new additional to the Galderma® line of Restylane® injectables used to soften laugh lines near the nose and mouth. This injectable treatment provides patients with natural-looking wrinkle reduction without the downsides of downtime or prolonged side effects. As the skin loses elasticity with age, laugh lines that run from the sides of the nose towards the corners of the mouth, or from the corners of the mouth towards, the chin, inevitably begin to form. Referred to as nasolabial folds and marionette lines, these wrinkles can cause the people that have them a significant amount of psychological distress. With Restylane® Refyne, patients can correct these wrinkles with a hyaluronic acid based gel. This gel is formulated using XpresHAn Technology™ that improves its cross-linking efficiency within the skin, allowing it to blend seamlessly and naturally into the skin’s natural collagen framework. This ensures that patients remove their laugh lines in a subtly elegant manner. Because Restylane® Refyne is formulated with lidocaine, a mild anesthetic, the injection process is often significantly more comfortable than most patients expect. While some patients experience bruising and swelling following treatment, these side effects don’t prevent most from returning to their daily routines. The results of a single Restylane® Refyne injection session last most patients a full 12 months. Am I a candidate for Restylane® Refyne? If you’re interested in improving the appearance of moderate laugh lines without undergoing an extensive cosmetic procedure, you may be the perfect candidate for Restylane® Refyne. Before undergoing treatment, a member of our aesthetic staff will take your cosmetic goals and medical health into account to decide if this injectable is right for you. Smoother, wrinkle-free skin is only a phone call away — contact Supriya Aesthetic Dermatology today to schedule a consultation appointment and see if Restylane® Refyne is right for you. We look forward to hearing from you!